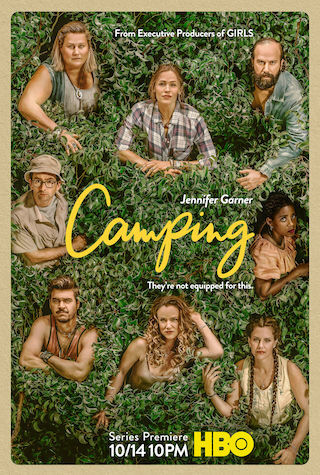 Camping is an American 30 minute scripted comedy television series, which kicked off on October 14, 2018, on HBO and is broadcast every Sunday at 22:00. The show is currently in its 1st season. HBO is yet to announce the renewal of Camping for Season 2 as well as its cancelation. Sign up to track down the show's status and its release date. Based on the eponymous British series, Camping follows a group of old friends as they arrive at the underwhelming Brown Bear Lake campsite to celebrate a landmark birthday, sparking heightened emotions, latent tensions (sexual and otherwise) and memories they'd rather forget.